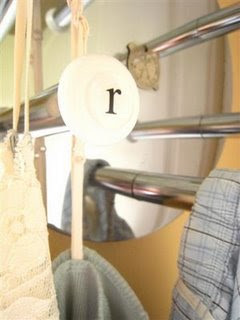 For that first silver one, how about a coat/hat rack? Mount it flat against the wall. Attach a door knob or pull to each stem. For an personalized touch, mount a round frame or object in the center. Hang hats, coats, etc. To see more photos of their final project, click here! Turns out I won a prize! A $100 gift certificate to the Junk Revolution site. Any suggestions on how I should spend my prize? Kennesha@Me & My House...Crafty. Sassy. Funky. Ashley@Ashley's Busy...thrifty, honest, and a little bit silly. Sara@Be Still and Know...Find pause. Press play. Some of them have been blogging for a while. Others have recently started. Pay them a visit and tell them Amy sent you! One kind and observant blogger, Angie@A Book a Day, asked me about the Follower Features. Thanks, Angie! I am glad to say that I will be doing one soon. When Blogger switched their followers gadget, it changed the order of how people were displayed. As I had intended to go in order of who started following first, I wasn't sure how to proceed. I will press on and do my best! If you are new to my blog, you are welcome to check out my previous Follower Features! If you are a fan of junk and vintage items, please check out my other blog...Junkologie. We've been finding the best pieces and getting ready for our upcoming show at the Vintage Treasures Market, June 19-20, in St. Charles, MN. Hope to see you there!! If you can make it, please look for the Junkologie sign and make sure to introduce yourself! Whew! I think that's it! Did I cover everything? I hope so!! I'm sure that you will have a blast spending that moolah! I just love their bags! I know what you mean about not being able to keep up! Just being Mindy's boyfriend has been a full-time job lately! I enjoy helping her with the junking, but... whew! One thing that's really been neglected is my reading and commenting on blogs. Congratulations on the $100 gift certificate! That's awesome! And that was a very creative idea you came up with for that extra ugly fixture! 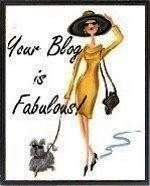 Congratulations, I have to agree, I think you blog is pretty fabulous as well! Hey Lady! Thanks sooooo much for the award. I will post it as soon as the party is over on Thursday! Whooo, hoo! I am too excited for words. New friends, a party and an award all in ONE week....I can't take it! Congrats on the win! I'm sittin' here enjoying my chippy red wagon wheel picture! Just wanted you to know I still LOVE it! Girl, I couldn't agree with Pam more...course me being me I like to say it in three words. So...you are Fab U Lous! OMG, I never win anything! Thank you thank you thank you, lol, I'm so proud. I'll post it today. Yay for me, and I like your blog too, I RSSed it. Have a wonderful week!! I have my award post up. come and visit. thank you again. Congratulations on your blog award. And thanks so much for mentioning my blog - I appreciate it. Sorry to hear that blogger messed up your follower features plan - I have been having a lot of problems ever since blogger switched their followers feature. It keeps kicking people off and temporarily erasing the blogs I'm following. It's been a mess.